A Berlin woman has been told she faces six months in jail or a €250,000 fine if she smokes on the balcony of her apartment after 8pm. The woman, who has been named as Uta F., has lived in her apartment in the quiet Hellersdorfer area of Berlin since 2008 and it seems her habit of an evening cigarette on her balcony has caused great upset to one of her neighbours. Marcel P., who lives in the apartment directly above Uta, was so bothered by the smoke wafting into her home that she filed a lawsuit. According to the German newspaper B.Z., the complaint states that "a considerable amount of tobacco smoke… enters the applicant's home through the predominantly prevailing west wind". However, the District Court of Lichtenberg did not buy into Uta’s reasoning, and has ruled she may no longer smoke on her balcony between 8pm and 6am. Should she violate the ruling she would face the incredibly severe punishment of a €250,000 fine or six months in prison. “This punishment is, however, very unlikely,” a court spokesperson said. The severity of the fine was based on a ruling made by the German Federal Court of Justice (BGH) in 2015. In that case, the court decided that people are prohibited from smoking during particular windows of time in the day because smoking presents a significant disturbance to others. The prohibited time varies on a case-by-case basis. 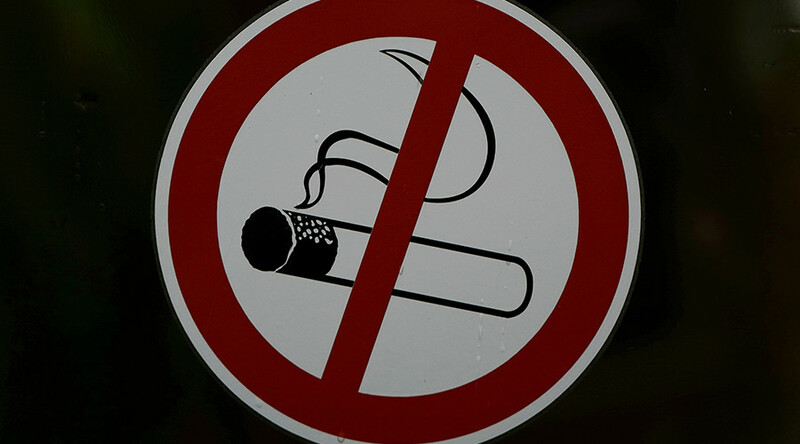 Late last year, a similar ruling in neighboring Austria restricted a man from smoking on his balcony between 8am to 10am, 12pm to 3pm, and 6pm to 8pm between May 1 and October 31.